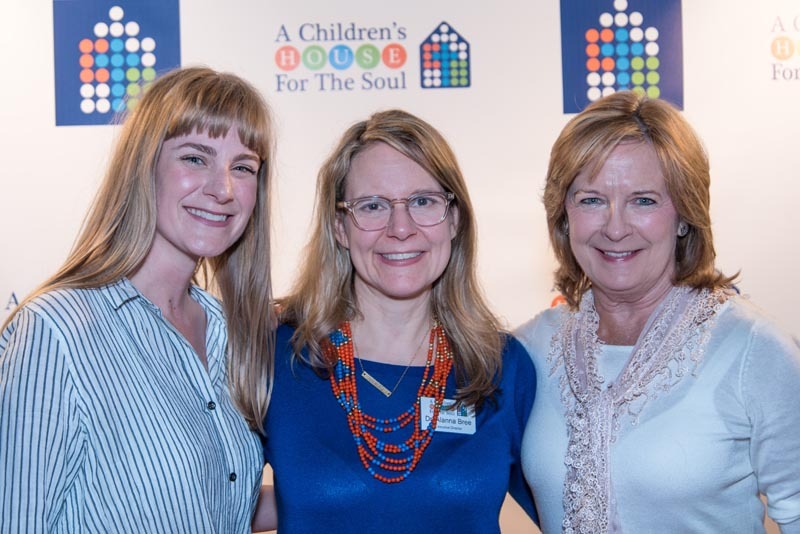 On Friday, February 9th, friends of A Children’s House for the Soul came together at The Health Museum to raise awareness and funds at the first annual “Helping Others Love The Skin They Are In” Happy Hour FUNdraiser. The event was expertly chaired by Kathy Krueger and the auction was organized by Susan Hamm; who are both members of the Board of Directors. Our guests were welcomed with a huge SOUL balloon sculpture from Balloons of Houston, and they had the chance to have their photos taken on our famous orange carpet when they arrived. It was a great evening of delicious light bites from Phoenicia, our signature cocktail “You Gotta Have Soul”, libations donated by Karbach Brewery, tasty treats including cotton candy, snow-cones and popcorn, fun carnival games and mechanical bull rides with music by The Royal Dukes Band, as well as a silent and live auction with Dean McCurry Auction Services. The event was emceed by Bill Brown, the longtime voice of the Houston Astros, and Dr. Alanna Bree, Executive Director, was signing her new book, A Children’s House for the Soul: A Little Story About a God-Sized Dream, with proceeds benefiting the charity. The evening was a smashing success and raised nearly $30,000 to support A Children’s House for the Soul’s important mission of encouraging and uniting children affected by skin conditions and birthmarks by providing opportunities for social, emotional and spiritual support. Our hearts are truly overflowing with gratitude to all who provided their support, and we are sincerely grateful for our many donors, underwriters and supporters who made the night possible. Because of the generosity of many, we can continue to help the children we serve truly love the skin they are in!